This is sure to become a favorite episode of many! Christine Whitmarsh really is the impetus for this podcast. 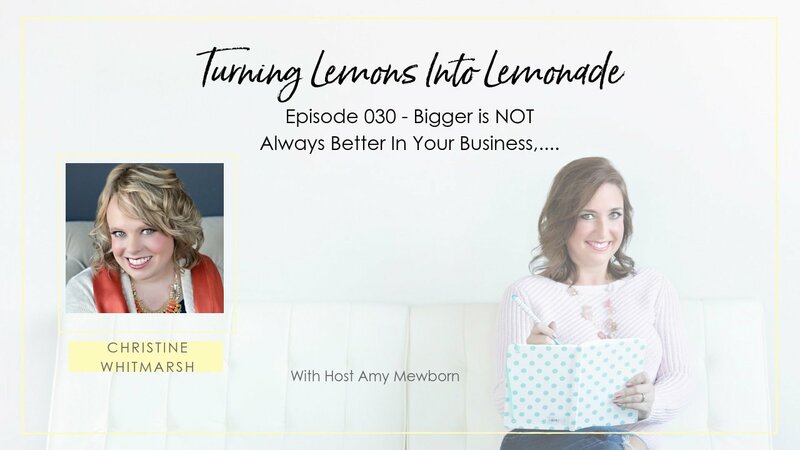 We had worked together and become friends in the past, and she had a situation show up in her business when she was feeling pretty down and depressed with the business she had created! Imagine one day waking up and realizing that you built this large business, with a large team – that didn’t resemble the business that you really wanted to run! Christine was SO brave! She actually decided to DOWNSIZE her business. To eliminate parts of her team, and to get back to the elements in her business that she truly loved! She sold her house. She moved across the country. She changed how she spends her days. She changed her business. And she changed her life! 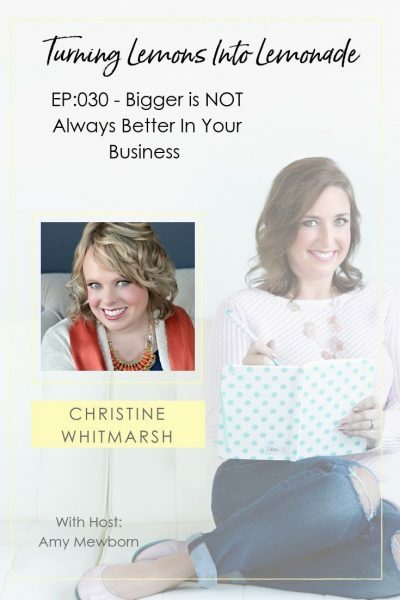 Christine is a role model for women who truly want to reclaim their lives and their business. Sign up HERE to get your Freebie! Why Use Quizzes To Grow Your Business?